Swedish heavy metal legends Mindless Sinner need no further introduction. Jawbreaker Records are proud to announce this official re-release of the band’s groundbreaking debut album, recorded in 1984 and released in 1986. This is your chance to lay your hands on a real piece of heavy metal history. Limited to 100 copies on pink tape and 200 copies on blue tape. Never released on cassette before. Includes 9 rare bonus tracks: 4 alternative versions of songs from the album recorded in 1986 (previously only available on the 2015 CD re-release by Eat Metal Records) and 5 demo tracks, also from 1986 (previously only available on the 2003 CD re-release by Metal For Muthas). Just like last year’s tape release of Master of Evil has this release been made possible due to a collaboration with Night Crawler, who has contributed the awesome layout. Horns up! Out now on Jawbreaker Records! 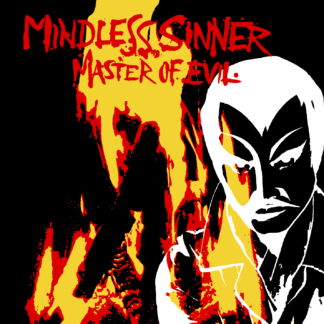 Jawbreaker Records are extremely proud to announce that Mindless Sinner – Master of Evil is now officially released. Shipping of all the pre-orders (thanks everyone!) has already begun, and for the rest of you: now is the chance to lay your hands on this masterpiece of Swedish heavy metal history. For a limited time only, both the yellow (limited to 100 copies) and the red (limited to 200 copies) will be available in the web shop for a special heavy metal price of 66,6 SEK. 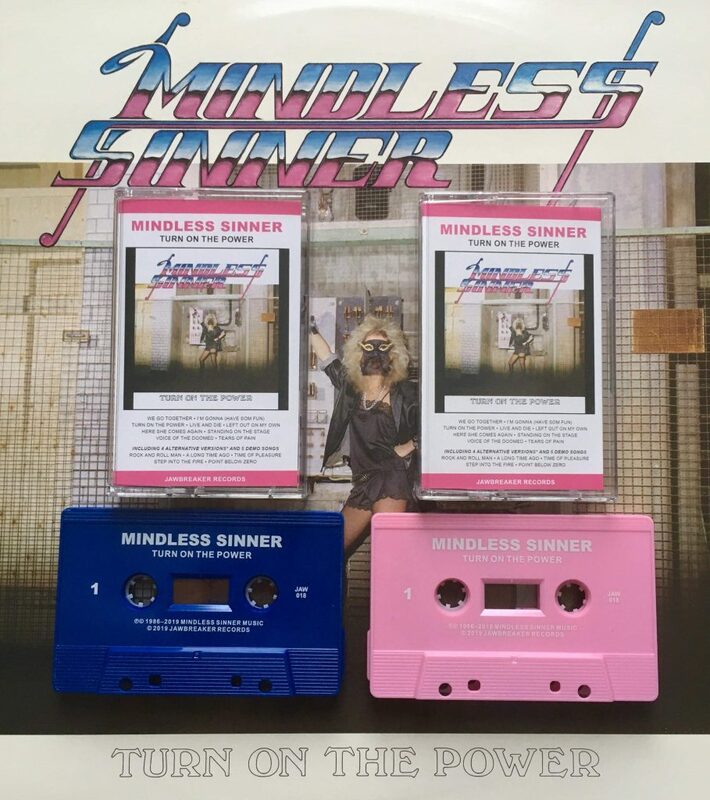 It’s hard to believe, but remember that this is the first time EVER that ANYTHING by Mindless Sinner is officially released on cassette! So hurry up and get your copy while the stock lasts. 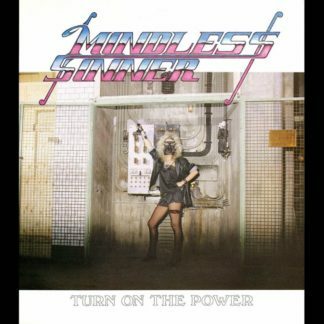 Swedish heavy metal legends Mindless Sinner need no further introduction. This is a official re-release of the band’s groundbreaking debut EP from 1983. Limited to 100 copies on yellow tape and 200 copies on red tape. Never released on tape before. Includes six rare bonus demo tracks (also recorded in 1983)! These tracks are previously only available on the 2003 CD re-release by Metal For Muthas. 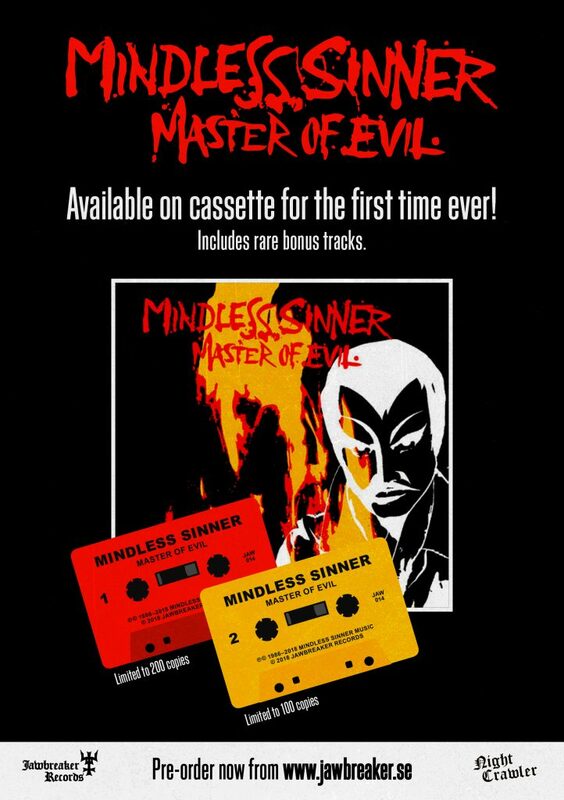 Brace yourselves for JAW-014: The official reissue of Mindless Sinner – Master of Evil on cassette! This is the first time ever that the heavy metal legends’ groundbreaking debut EP will be available on cassette, which of corpse is the most metal of all formats.